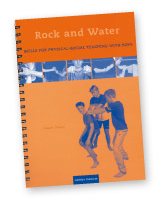 A comprehensive discussion of the foundation elements and principles underlying the Rock & Water program. Includes 9 chapters. 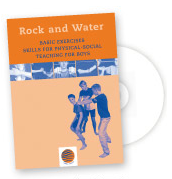 Including the Power of Rock and Water, Bullying and Teasing, Gender specific Possibilities, Integration of Feelings and Thoughts, The Rock and Water Mansion, and more. 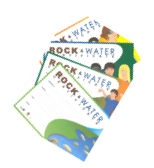 Includes 22 case studies describing how the Rock & Water program is implemented in diverse settings such as school and correctional institutions. Basic Exercises: This part of the USB contains the most important and challenging physical exercises from the Rock & Water program. Action and Reaction DVD: This part of the USB contains five scenes about different forms of violence to be avoided. Suitable for high school-aged children only. It also contains some stimulus questions. 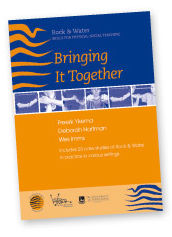 Provides a powerful way of honouring students and reinforcing positive behaviours. These A4 certificates come in 4 different designs, plastic wrapped in packs of 40. Strike shields can be purchased from most sports stores and any martial arts supplier. However, if you want the best quality strike shields or smaller primary focus mitts with the Gadaku logo go to Lighthouse Education.